An out-of-the-way diner becomes the unlikely battleground for the survival of the human race. When God loses faith in humankind, he sends his legion of angels to bring on the Apocalypse. 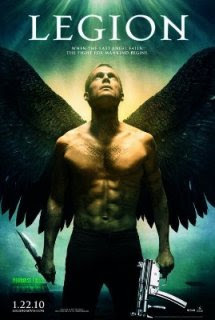 Humanity's only hope lies in a group of strangers trapped in a desert diner with the Archangel Michael (Bettany).